A Dacia Duster undergoes testing in a dust tunnel at Renault's technical center in Romania. 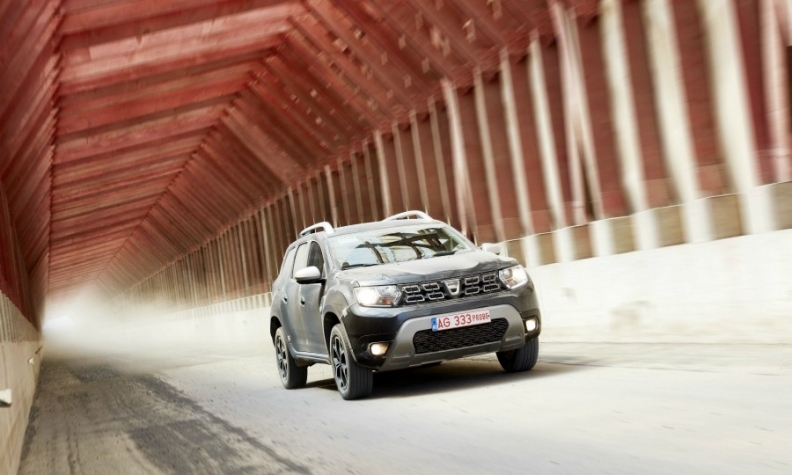 Dacia builds its models to handle the rough roads in emerging markets. Renault's only testing center outside of France is in Titu, Romania, halfway between Bucharest and Dacia's Pitesti factory. The 350-hectare site was completed in 2006, and at any given time a multinational force of 600 to 1,000 engineers and other technical workers are in residence. The center is responsible for developing, testing and industrializing vehicles on the M0 platform, which make up the bulk of Renault's Global Access range. They include the Dacia Logan, Duster and Sandero. It also develops manual transmissions for gasoline engines throughout the Renault range. "Romania has become the nerve center for the Global Access range," said Sylvain Coursimault, global marketing director for the range. The Titu center has been crucial to improving quality at Dacia, officials said. A 32-km test track simulates conditions in emerging countries where the Global Access range is sold (Dacia models are generally badged as Renaults outside of Europe). Obstacles include a dust tunnel, a body twist track and cobblestones. A soundproof chamber tests interior noise levels, and paint durability is verified under simulated sunlight and infrared ray exposure. In addition, the center is connected via simulation software to Renault's two other development centers, in Aubevoye and Lardy, France, so tests can be conducted simultaneously at the three sites.